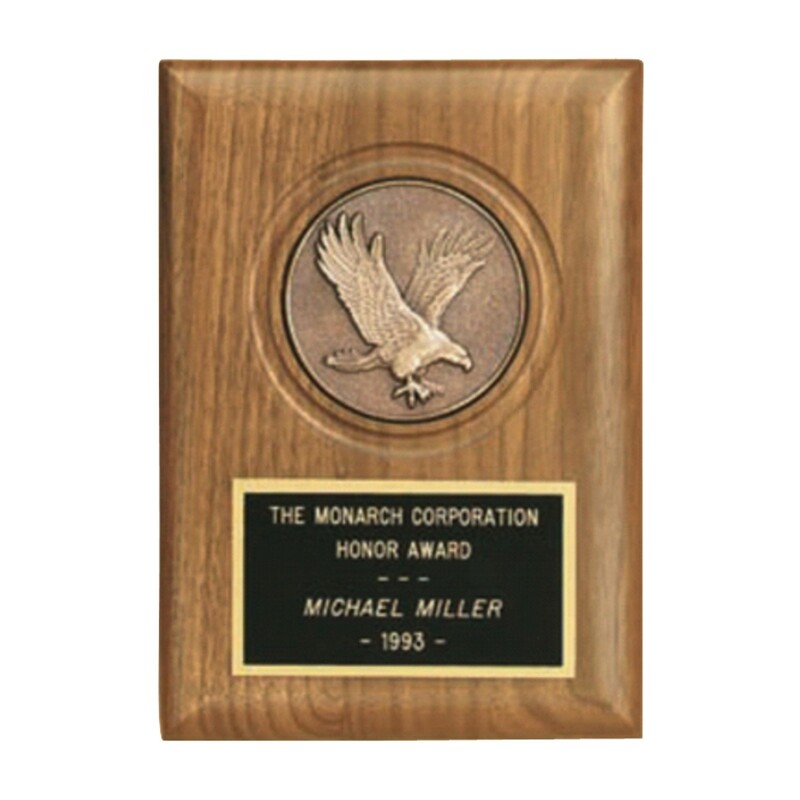 The Bronze Eagle Insert Walnut Plaque is the ultimate recognition plaque. 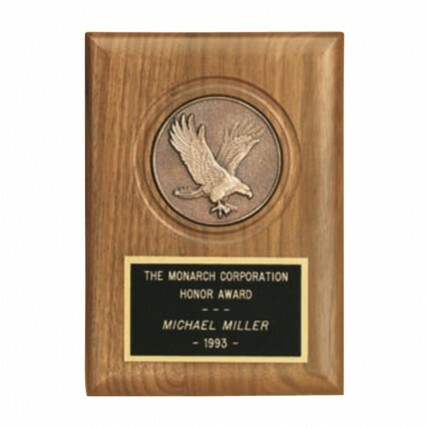 This award is crafted from solid American walnut wood and features a bronze swooping eagle insert. Your text will be engraved in brilliant gold on a black brass plate with gold backing. This plaque measures 5x7. Whether you are looking for a military plaque or an award for a courageous individual this is the plaque for you!